In 2002 Congregation B'nai Israel purchased the roughly 1 acre open lot to the synagogue's east from the City of Northampton. For a decade this land was mowed and left as an open field. In 2011, a few synagogue families with teenage kids had the idea to start a garden on this land. With a lot of hard work and the help of many other community members and friends, these families created a large, beautiful garden with vegetable beds, a cob oven, fire pit and a lovely sitting area. During this time, the garden became a treasured community space and played host to numerous gatherings, classes, celebrations and potlucks. 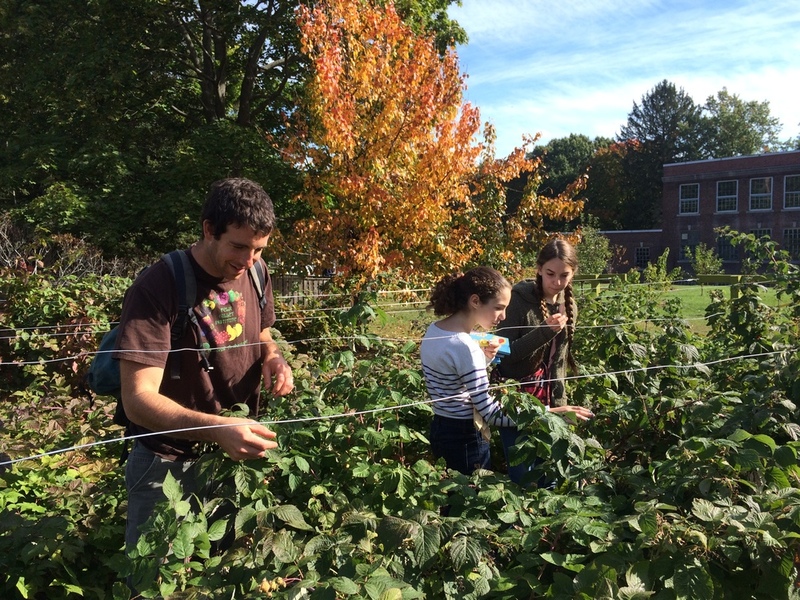 In the fall of 2013, under the leadership of Rabbi Jacob Fine, a group of people started working on a vision for expanding and transforming the CBI garden to become a small farm and outdoor classroom in partnership with its neighbors at Lander-Grinspoon Academy and the Northampton Survival Center. 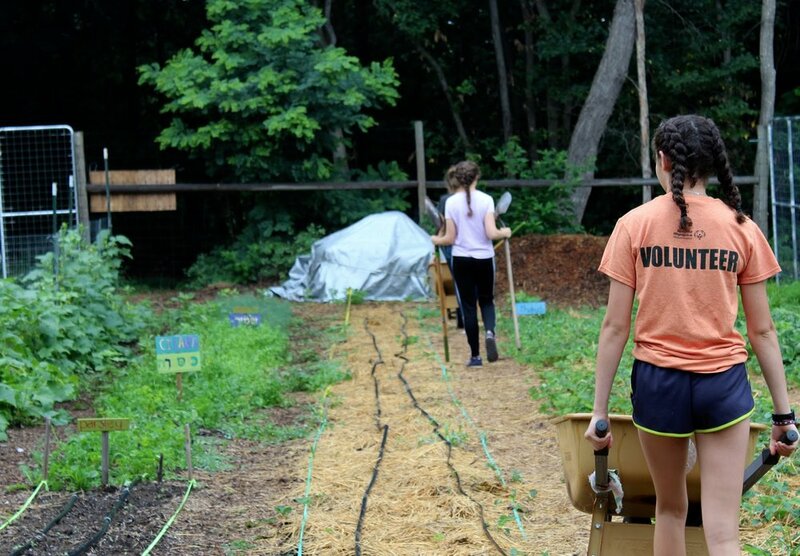 Over the next year, a volunteer Leadership Team with representatives from CBI, LGA and the Northampton Survival Center helped refine the vision, design the Farm and fundraise the money to get us started. We launched Abundance Farm in the spring of 2014 with a gathering of over 250 people where we planted 50 fruit trees, 40 berry bushes and established a number of new planting beds. In our first season we donated over 700 lbs of produce to our friends at the Northampton Survival Center. Over the first two seasons of the Farm we have hosted over 2000 people of all ages for classes, workshops, festivals, rituals, prayer, work parties and potlucks. Abundance Farm is a project which builds upon this land's rich history of being an important place for community building and contributing to greater food security for local people in need. We invite all people to join us as we forge a new exciting chapter for this little, special piece of land on Prospect Street.